It pleases Jesus to lavish His gifts on certain souls in order to draw yet others to Himself; in His Mercy He humbles them inwardly and gently compels them to recognize their nothingness and His Almighty Power. Now this sentiment of humility is like a kernel of grace which God hastens to develop against that blessed day, when, clothed with an imperishable beauty, they will be placed, without danger, on the banqueting-table of Paradise. 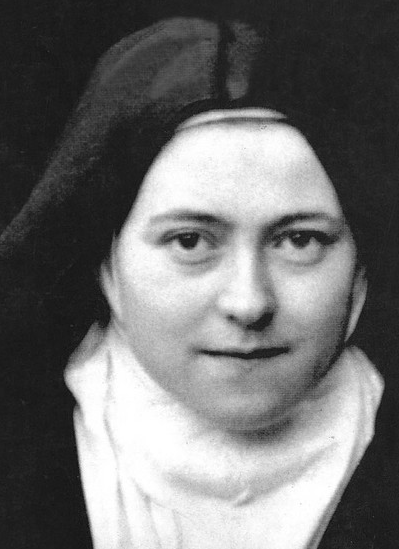 Dear little sister, sweet echo of my soul, Thérèse is far from the heights of fervour at this moment; but when I am in this state of spiritual dryness, unable to pray, or to practise virtue, I look for little opportunities, for the smallest trifles, to please my Jesus: a smile or a kind word, for instance, when I would wish to be silent, or to show that I am bored. If no such occasion offer, I try at least to say over and over again that I love Him. This is not hard, and it keeps alive the fire in my heart. Even should the fire of love seem dead, I would still throw my tiny straws on the ashes, and I am confident it would light up again. It is true I am not always faithful, but I never lose courage. I leave myself in the Arms of Our Lord. He teaches me to draw profit from everything, from the good and from the bad which He finds in me. He teaches me to speculate in the Bank of Love, or rather it is He Who speculates for me, without telling me how He does it – that is His affair, not mine. I have but to surrender myself wholly to Him, to do so without reserve, without even the satisfaction of knowing what it is all bringing to me…. After all, I am not the prodigal child, and Jesus need not trouble about a feast for me, because I am always with Him. I have read in the Gospel that the Good Shepherd leaves the faithful ones of His flock in the desert to hasten after the lost sheep. This confidence touches me deeply. You see He is sure of them. How could they stray away? They are the prisoners of Love. In like manner does the Beloved Shepherd of our souls deprive us of the sweets of His Presence, to give His consolations to sinners; or if He lead us to Mount Thabor it is but for one brief moment … the pasture land is nearly always in the valleys, “it is there that He takes His rest at midday” (Cant. 1:6). Thérèse of the Child Jesus (1873-1897): Letters of Saint Thérèse to Her Sister Celine, 16.